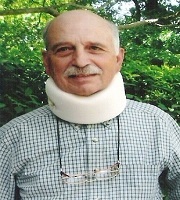 Frank Cavano Is Retired Physician Whose Writings Often Focus On The Spiritual/inspirational/metaphysical Realm. Over The Last 5-6 Years About 100 Pieces Have Been Published Online And/or In Print. He Is Always Grateful When A Poem Or Story Stimulates Thought, Provides Comfort Or Depicts The Human Condition In A Compelling Way.